Description: This workshop will provide a primer on the contemporary legal context surrounding personnel selection and adverse impact measurement. To set the stage, the presenters will highlight the importance of evaluating a wide range of employment activities by discussing recent equal employment opportunity (EEO) court cases that impact the selection world. Participants will then be walked through an example EEO analytics process, including major decision points that determine how to structure analyses by identifying the employment actions to evaluate (e.g., selection, promotions), the protected groups to compare, and who to include/exclude from the analysis. Specific adverse impact measurement strategies will be reviewed, including both statistical significance tests and practical significance measures. The session will end with a review of ‘hot EEO topics’. 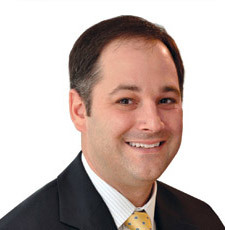 Eric M. Dunleavy, Ph.D., is a Principal Consultant at DCI Consulting Group, where he is involved in equal employment opportunity audit and litigation consulting. He also serves on staff with the Center for Corporate Equality (CCE), which is a national nonprofit employer and research association based in Washington, D.C. Eric’s primary areas of expertise are in employee selection, employment testing, validation research, adverse impact analyses and other quantitative methods. His most recent work has focused on advanced quantitative analyses for assessing adverse impact and on selection procedure validation research in the context of OFCCP enforcement. Eric received his M.A. (2002) and Ph.D. (2004) in Industrial/Organizational Psychology with a concentration in data analysis from the University of Houston. He received an Honors B.A. (2000) in Psychology from St. Anselm College. 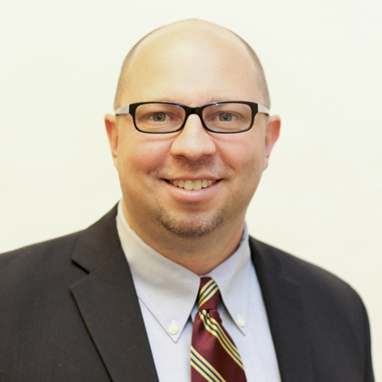 Eric has served as President, Vice President, and Legal Chair of the Personnel Testing Council of Metropolitan Washington, D.C. (PTC/MW), and is on the editorial board of The Industrial-Organizational Psychologist as co-author of the “On the Legal Front” column. In 2011 Dr. Dunleavy received the first Distinguished Early Career Contributions Award – Practice award from the Society for Industrial-Organizational Psychology, which is given to individuals who have developed, refined, and implemented practices, procedures, and methods that have had a major impact on both people in organizational settings and the profession of I-O psychology. Eric has published articles in the International Journal of Selection and Assessment, Journal of Business and Psychology, Psychology, Public Policy, Law and Industrial and Organizational Psychology: Perspectives on Science and Practice. He is currently an adjunct faculty member of George Mason University, where he has taught graduate courses in multivariate statistics and applied measurement, and at University of Maryland Baltimore County at Shady Grove, where he has taught a graduate course on legal issues in selection. He is currently involved in a SIOP task force responsible for developing a dialogue with EEOC on employee selection issues of mutual interest. Emilee B. Tison, Ph.D., is an industrial/organizational psychologist and Consultant at DCI Consulting Group where she is involved in employee selection and equal employment consulting. 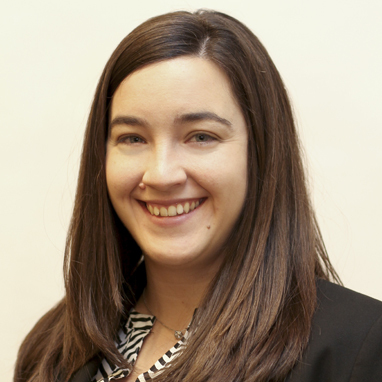 Emilee’s primary areas of expertise are in employment testing, job analysis and validation strategies, and quantitative methods in the equal employment context. At DCI she has conducted large scale adverse impact analyses of selection processes, developed and validated selection procedures, and trained clients on a variety of employee selection and EEO issues. 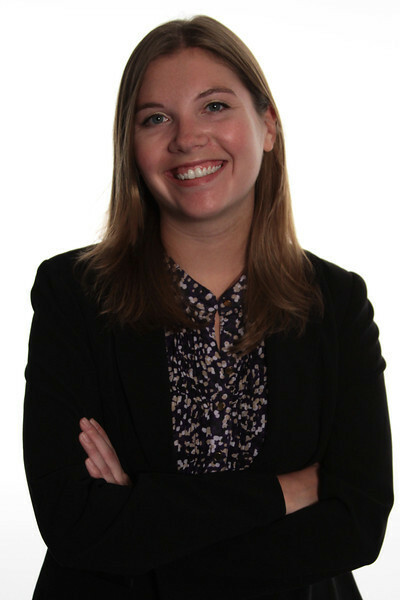 Prior to joining DCI Consulting Group, Emilee worked at the U.S. Office of Personnel Management (OPM) as a Personnel Research Psychologist in the Selection and Promotion Assessment Group. At OPM, Emilee led job analysis/competency modeling, gap analysis, and assessment development projects; delivered trainings, including assessor/interviewer training; and conducted adverse impact analyses. Emilee received her M.S. and Ph.D. in industrial/organizational Psychology from Virginia Polytechnic Institute and State University (Virginia Tech). Description: This workshop will provide a contemporary discussion of how different validation efforts are evaluated within the EEO context, with a focus on issues of job relatedness and reasonable alternatives. The session will begin by evaluating regulatory and professional guidance related to validation efforts – to review the current state of the field. During this discussion, we will review a variety of validation strategies and discuss both best practices and common criticisms. A review of current court cases and EEO enforcement will provide context for a discussion of current practices and highlights the topic of job-relatedness. Next, the presenters will review the topic of reasonable alternatives. This will include a consideration of definition, context and the identification of strategies for considering alternatives and their persuasiveness. Recent case law will also be reviewed, concluding with an evaluation framework designed to ensure a systematic review of these topics. Description: Performance Management isn’t easy. This workshop on writing performance plans will help you feel more confident in the performance management planning process. We take away the ambiguity and uncertainty by explaining each performance plan component and guide participants to draft performance elements and standards that are results focused and measurable. Participants will walk away with their very own crafted performance element and associated standard to include in future Performance Plans. Dr. Rebecca Ayers serves as the Manager for Performance Management Solutions (PMS) in the U.S. Office of Personnel Management (OPM). PMS provides reimbursable solutions to Federal agencies to address individual and organizational performance matters necessary to properly create and sustain a healthy and effective results-oriented culture. Rebecca is also the Program Manager for USA Performance, OPM’s automated performance management system. She has managed consulting work, performance management, and telework projects for cabinet level and other independent agencies. Prior to this position she served as the Strategic Planning and Performance Manager for HR Solutions, the reimbursable division of OPM, and was responsible for organizational strategic and business planning and execution and performance management and evaluation. Rebecca holds a bachelor’s degree in Foreign Affairs from the University of Virginia and a Masters of Transatlantic Studies from the University of Bath, England. She completed her Ph.D. in Public Administration at North Carolina State University where her research included public management, performance management, and strategic planning. 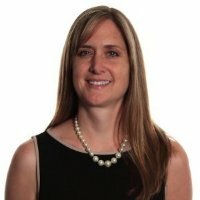 Amanda Custer is a Human Resources consultant for the U.S. Office of Personnel Management (OPM) with professional experience in performance management, telework, and strategic planning. She is a founding member of Performance Management Solutions and brings experience in diagnosing critical issues and developing customized solutions to meet the specific needs of the customer. She is a certified project manager and has extensive experience developing and conducting technical training, coaching executives and HR staff on performance management, and facilitating focus groups. For the past four years, she has been a guest instructor at OPM’s Management Development Centers contributing to the Supervisory Development Seminar. 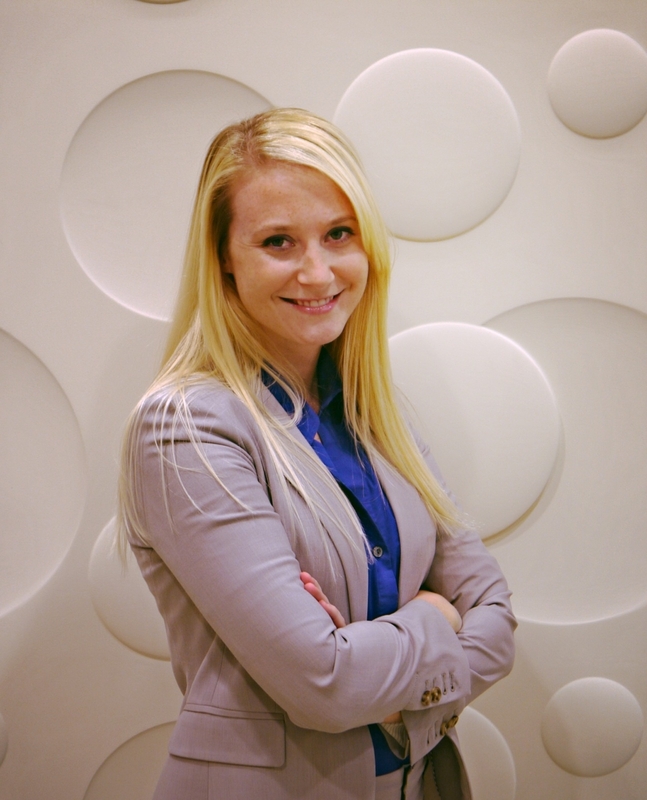 Amanda is also an account manager for USA Performance, OPM’s automated performance management system. Amanda graduated with a Master’s degree in Industrial/Organizational Psychology and a Bachelor’s degree in Psychology from Missouri State University. Description: Successful telework programs require building the organizational systems and people competencies necessary for affecting change. In this workshop, participants will learn how to set up robust telework program evaluations that can help establish and grow their organization’s telework program. At the conclusion of the workshop, participants will understand how to define a vision for telework program improvement or change, set goals to achieve the vision, and establish telework program metrics to evaluate success and track progress. Participants will also understand the latest methods used by Agencies in the Federal Government to measure telework program Return on Investment. Through a mix of lecture and interactive discussions, participants will be challenged to think big and develop a vision for change that will inspire their organization’s senior leaders and employees alike. 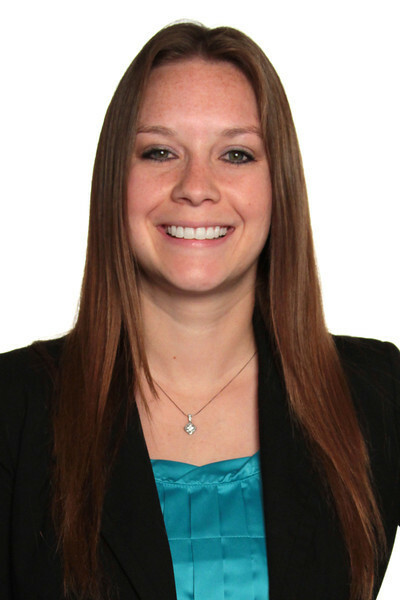 Megan Arens joined OPM as a Human Resources Consultant in October, 2009. She is a founding member of Performance Management Solutions, providing consulting services on OPM requirements for performance management programs and plans. Megan has extensive experience in developing performance plans, consulting on issues regarding telework, and creating and conducting trainings. She also places a strong focus on identifying Key Performance Indicators (KPIs) for agency program areas, assisting agencies with strategic planning and human capital planning, and consulting senior executives on writing measurable standards. Megan graduated with a Master’s degree in Industrial/Organizational Psychology from Missouri State University, and she is certified as a Project Management Professional. She enjoys cooking and tasting unique foods, kickboxing, and being active in her community. Kate McGrath joined OPM as a Human Resources Consultant in January 2010. She is a member of Performance Management Solutions, and has worked on and led a variety of projects. This includes reviewing and consulting on Senior Executive Service (SES)/Senior Level/Scientific or Professional/Non-SES performance plans, delivering training (e.g., Writing Result-Oriented Performance Standards, Success in the Telework Environment, and Critical SES Leadership Competencies), facilitating focus groups, creating and implementing telework services (e.g., auditing telework policies/agreements and evaluating positions for telework readiness), leading the pilot project for newly developed telework services, and facilitating the classification of positions. Kate is also an implementation team member for USA Performance, OPM’s automated performance management system. Kate graduated with a Masters of Industrial/Organizational Psychology and a Bachelor’s degree in Psychology from Missouri State University. Description: Managers are expected to be leaders. Every day they make decisions that impact their teams, their organizations, and society. How can organizations assess and develop managers to improve their ability to make effective decisions? This workshop will present a research-based framework that links affect (emotions, moods, and personality) with the decision-making competence and performance of managers. It will demonstrate ways to use this framework in a practical manner to develop managers as leaders. Participants in the workshop will be given the opportunity to take an Affective Processing Profile (APP) assessment prior to the workshop. Participants who choose to complete the assessments will receive complementary personalized professional development reports at the workshop. The assessments will provide a hands-on example of how to use this information to have follow-up leadership developmental conversations with managers. Magda du Preez is a psychologist and management consultant specializing in leadership selection and development, transition management, and performance culture building. She has worked in the field of assessment and development since 1993. She is the owner of Informed Talent Decisions and has provided consultation to government agencies, Fortune 500 companies, startups, and not-for-profit organizations in the United States and abroad. She is also adjunct professor of Management at Long Island University, where she teaches courses in strategy implementation and organizational development. She holds a master’s in psychology from University of the Orange Free State, South Africa, and is currently completing a Ph.D. in Business at the Wits Business School, Johannesburg, South Africa. Description: This workshop will cover the entire process of filling an open position – from analyzing job requirements and setting minimum qualifications to making an offer to the selected candidate. As a start, we will look at minimum qualifications and discuss how to design an effective and efficient recruitment strategy designed to yield the highest number of qualified candidates. “Dead” simulations (in-baskets, planning exercises, etc. Despite his official retired status, Harry Brull maintains his position as Senior Vice President, Public Sector Services for PDI Ninth House, an I/O psychology consulting organization with 34 offices in North America, Europe, and Asia. He joined PDI in 1978. Prior to that, he served as a probation officer, elementary school teacher, drug counselor, therapist, and general contractor. He is a charter member of the Minnesota Employment Law Council where he is the only non-attorney. During his tenure at PDI he has consulted with major corporations, public agencies and non-profit organizations. He has designed and implemented more than 3,000 selection and promotion processes. He has taught at Cornell University, the University of Minnesota, and the Southern Police Institute. Until 2009, he taught I/O psychology at St. Olaf and Macalester Colleges. He was president of the International Public Management Assessment Council (IPMAAC - now IPAC)) and the recipient of the 2002 Bemis Memorial award and the 2009 Clyde Lindley Service Award. He currently serves as a board member of The League of American Bicyclists, The Banyan Tree Resort, Walk-In Counseling Center and KHEN Community Radio. He also hosts a regular show on KHEN. He is a charter member of the Minnesota Employment Law Council where he is the only non-attorney. During his tenure at PDI he has consulted with major corporations, public agencies and non-profit organizations. He has designed and implemented more than 3,000 selection and promotion processes. Cornell University , the Universityof Minnesota , and the Southern Police Institute. Until 2009, he taught I/O psychology at St. Olaf and Macalester Colleges. He was president of the International Public Management Assessment Council (IPMAAC - now IPAC)) and the recipient of the 2002 Bemis Memorial award and the 2009 Clyde Lindley Service Award. Description: Situational Judgment Tests (SJTs) are a group of low-fidelity simulations frequently used for personnel selection. They provide job candidates with situations that they would encounter on the job and viable options for handling the presented situations. This workshop will review reliability and validity evidence, stimulus and response modality, applicant reactions, scoring approaches, and subgroup mean difference and potential for adverse impact. Approaches for development will be discussed and templates provided. Workshop attendees will participate in a series of engaging exercises designed to practice SJT development and to exchange ideas and considerations related to their use in personnel selection. Dr. O’Leary has 15 years of experience in the development, implementation, and evaluation of human capital systems in a variety of public and private sector organizations. His experience includes applied research and operational implementation in the areas of job analysis and competency modeling; job classification and occupational analysis; leadership development and assessment; survey design, implementation, and analysis; career path and roadmap development; assessment development and validation for employee selection and promotion; selection system evaluation; minimum/basic job qualification development and validation; psychometric analysis; performance management; workforce planning and skill gap analysis; training development and evaluation; certification assessment development; and employment litigation support. Dr. O’Leary has directed or played a key role in many large-scale assessment development, validation, and/or delivery projects in very visible and/or legally sensitive situations, including the development of a nationwide testing program for the Office of Personnel Management (USA Hire); selection assessments for entry-level software developers at an online retailer; selection and promotion systems for agencies under consent decree or litigation; selection systems for Administrative Law Judge and Presidential Management Fellows applicants; entry-level section and physical abilities assessments for law enforcement positions; and training certification assessments for airline manufacturers. He has led projects to develop and validate the following types of assessments, among others: experience/biographical data, static and adaptive personality, static and adaptive basic ability, situational judgment (paper, animated, video), simulation, job knowledge, structured interview, written demonstration, English expression/language usage, assessor and computer scored writing, and physical abilities. Dr. O’Leary has provided litigation support for multiple Title VII and Fair Labor Standards Act cases and he publishes and presents regularly on assessment best practices. 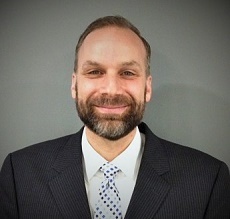 He is currently the Personnel Testing Council of Metropolitan Washington’s (PTC-MW) Legal and Legislative Committee Chair and is an Associate Editor for the International Personnel Assessment Council’s Assessment Council News where he keeps the membership up to date on legal issues as they related to employee selection. He has served in several roles at PTC-MW as well as on several Society for Industrial and Organizational Psychology committees. Dr. O’Leary’s was named a 2011 Game Changer by Workforce Magazine. He received his Bachelor’s degree in psychology from Emory University and his Doctorate degree in industrial and organizational psychology from Auburn University. Dr. Haudek has 15 years of applied experience in industrial/organizational psychology. He has been involved in leading, developing, and implementing human capital systems in both the public and private sectors. As a Senior Human Capital Consultant in PDRI’s Hiring and Assessment Services group, he is responsible for a wide variety of individual, organizational, and workforce assessment projects for PDRI’s private- and public-sector clients. He has led or played a key role in many large-scale assessment projects in very visible or legally sensitive situations, including the development of a testing program for a nation-wide retailer whose assessment system had to be replaced under the conditions of a consent decree from a hiring practices lawsuit, validation of a selection assessment weighting paradigm for a federal agency, and developing assessment and administering content for several nation-wide agency hiring programs. He has led projects to develop, validate and administer a wide variety of assessment types, including competency-based experience, personality, basic cognitive ability, situational judgment (paper and animated), assessment centers, structured interview, and physical abilities. Dr. Haudek has also led organizational development projects, including developing, administering, and analyzing organizational assessments measuring organizational climate, employee engagement, change readiness and implementation, and competency-based bench strength and gap analyses. He has also developed and delivered employee training, team development assessments and sessions, and leadership development curricula, spanning organizational levels from entry-level employees to executives. He received his Bachelor’s degree in psychology from the University of Michigan and his Doctorate in industrial and organizational psychology from Wayne State University.